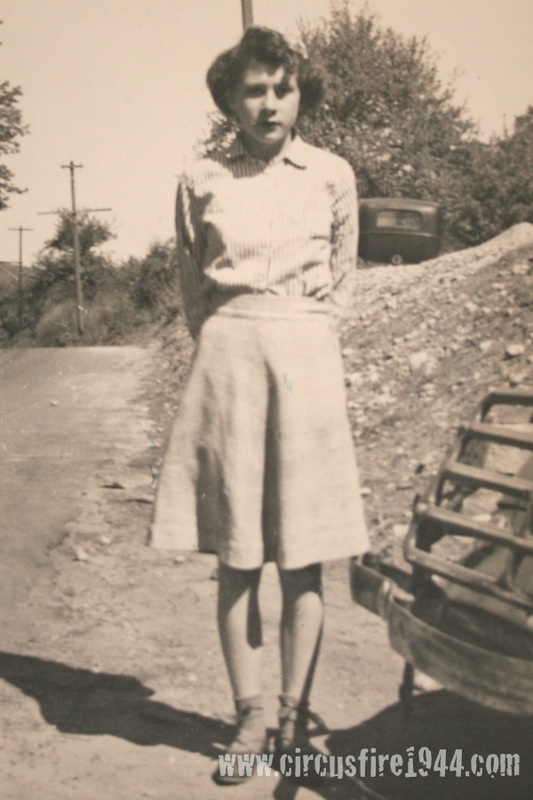 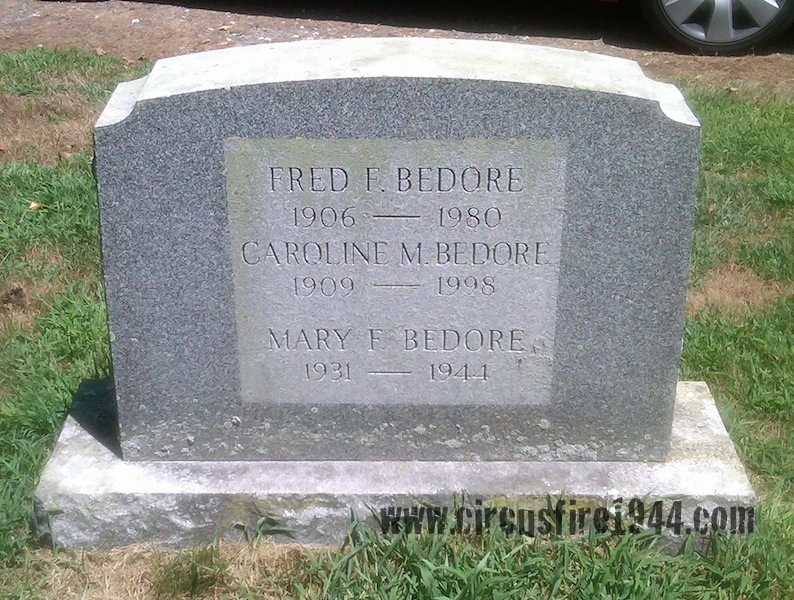 Miss Mary Frances Bedore of Pleasant Valley, Barkhamsted, was born June 1, 1931 in Barkhamsted, daughter of Caroline (Morvidelli) and Frederick F. Bedore. She was found dead at the circus grounds after the fire on July 6 and was buried at Riverside Cemetery in Barkhamsted after services at the Shea Funeral Home. 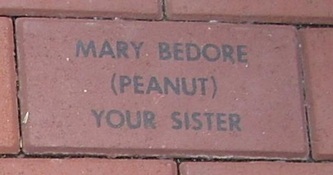 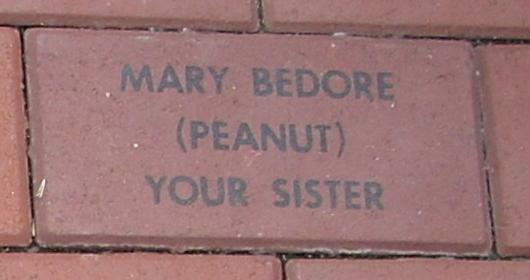 In addtion to her parents, Mary leaves her sister Frances M. Bedore, 15. 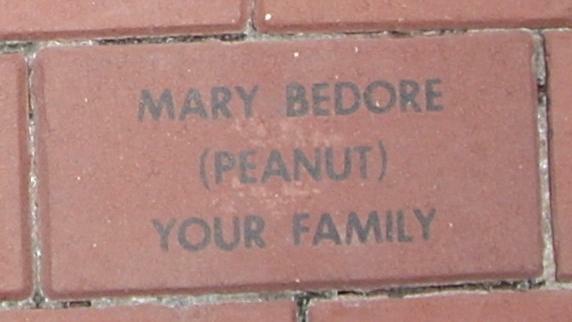 Body #2111 was identified at the State Armory as Mary Bedore by her father Frederick Bedore on Friday, July 7. 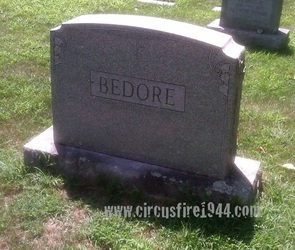 Her estate was awarded $7,500 by the arbitration board. Mary's uncle Frederick Wabrek also lost his sister Loraine and his mother Anna in the circus fire. 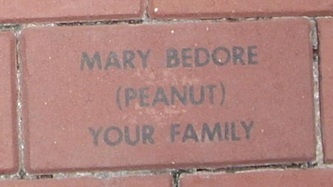 Frederick's wife Mary (Morvidelli) was the sister of Mary Bedore's mother Caroline.